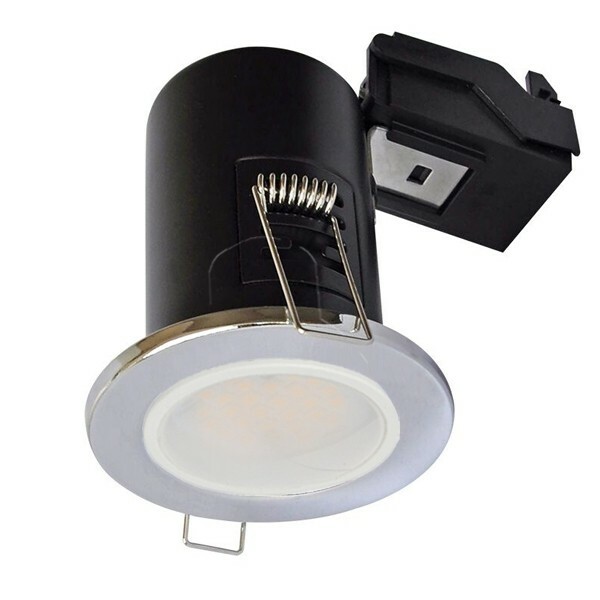 Our LED GU10 fire rated downlight meets all of the regulations for use in domestic and commercial environments. We supply this fitting as standard with a V-TAC 5w LED GU10 lamp with Samsung LED. If you require a dimmable lamp , please contact our sales team on 01494 880099 and they will be able to supply the same fitting but with a dimmable LED GU10 bulb.